Анализ музыкальных произведений. Учебное пособие. 4-е изд., стер. 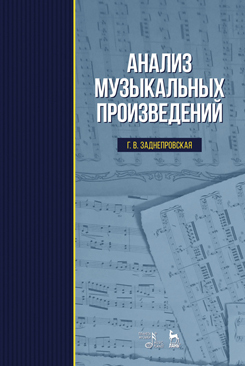 The textbook represents basic forms of European music from 17th century till nowadays. It reveals fundamental concepts of music form in association with the content and artistic world view of said period composers. Studying theory of classical romantic forms will be helpful in understanding various music styles and multifarious world of art. The textbook is intended for students of music teacher colleges realizing musical education and art programs. Also may be used by musical universities students.